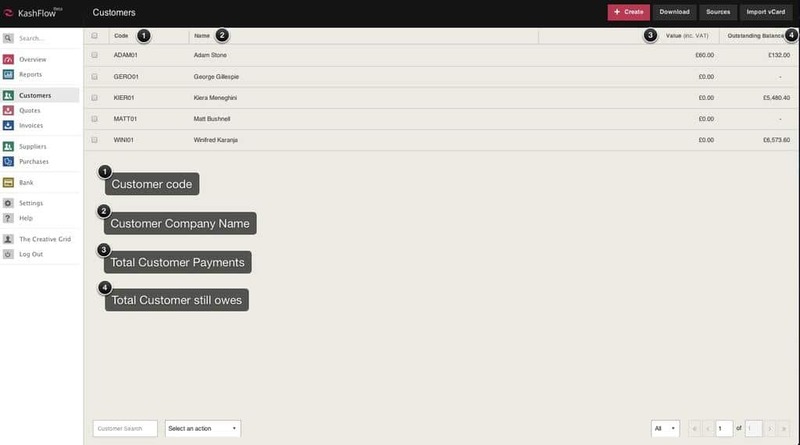 The Customers screen is where you will be able to create and view all of your existing Customers within KashFlow. 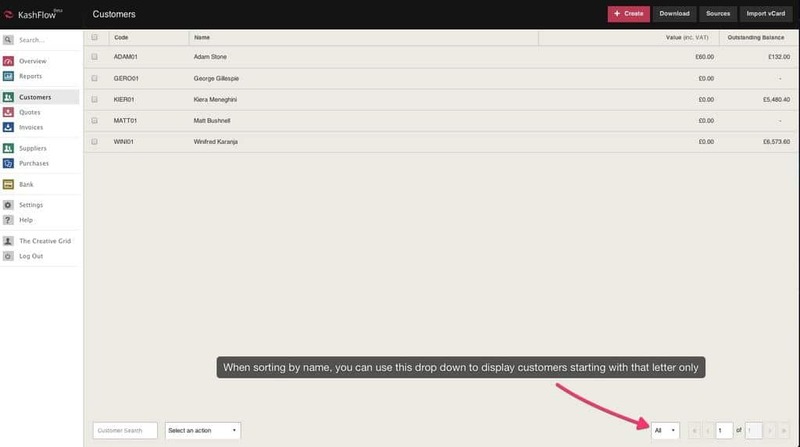 You can navigate to this screen by clicking on “Customers” from the left hand side panel. 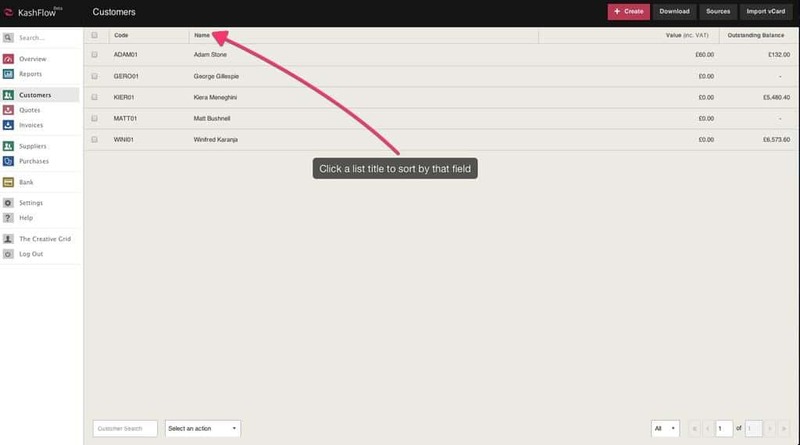 You can sort the list of Customers by any one of the four columns by clicking its heading. For example, clicking “Name” will sort your Customers alphabetically, or reverse, dependent on what the order currently is.